It was March of 2011 and Joe Worden couldn't believe what he saw. A simple, every day household item had started a fire that destroyed his 12,000 square-foot MMA, fitness center, and chiropractic office in Ironton. "It was a Glade air freshener plug in," Worden said. "We lost everything. It was awful. I had guys that were starting to turn around and do some good around that time." Worden, never one to tuck his tail and mope, didn't let the fire that destroyed his building bury his resolve. "I had just lost a $500,000 building in a fire and the bank was still working with me to get another place. They believed in me that we could do this," Worden said. "It was rough but people saw what we were doing and stuck with it." Worden and his group of up-and-coming fighters got right back after it, training wherever and whenever they could. First, there was an aerobics room that was barely 600-square feet. Thankfully, it was the time of year when the weather was acceptable, so when Worden and company out-grew the aerobics room, they ventured elsewhere. "I was going to football fields, training cardio and conditioning," Worden said. 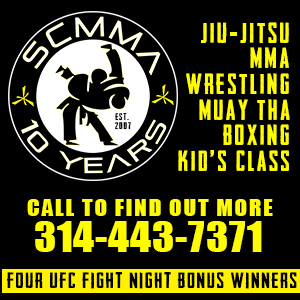 "There was a gym right down from the football field that had a small boxing ring. I was taking about 10 to 12 guys. They knew what we had and that I would build back better than ever. While Worden did have a dedicated pack, a few strayed. "I was bouncing from gym to gym trying to find some space to train my guys," Worden said. "It was bad. I lost some fighters but I also gained some. What I taught were good fighters then, but they couldn't go to that next level. Then I started having guys come in that could go to that next level, I had to take some and give some." 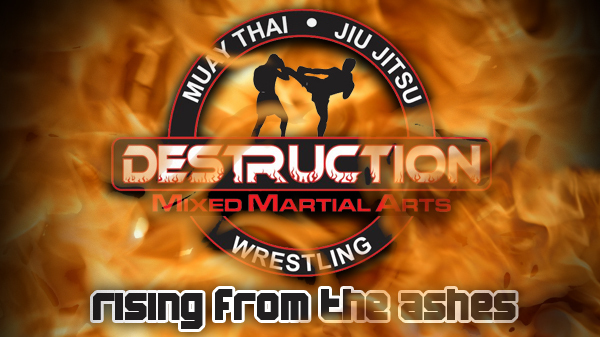 Worden finally found a place to call home in Farmington, and that is where he opened Destruction MMA in November. Worden's list of fighters has now grown to nearly 40, and many of those have developed into top flight talents. Alex White, Eric Irvin, Will Afaro and others are considered some of the best the state has to offer. "It's all about loyalty," Worden said. "They followed me around and I'm glad they did."